Israel Firefighters Department head demands strict measures against religious firefighters with beards. Israel Firefighters Department head Dedi Simchi stated that from now on firefighters will be forbidden to grow beards. He demanded that commanders enforce the decision and take disciplinary action against any firefighter who grows a beard. Under the new directive, students in the firefighters' course will have to sign a document agreeing that they will not grow out their facial hair. The decision especially affects religious soldiers. 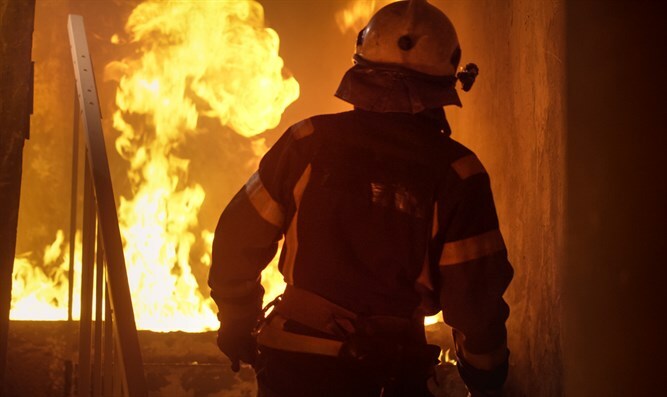 The Israel Fire Department stated: "As firefighters and rescuers in Israel, we rely heavily and extensively on NFPA standards - in clothing and in the means of protection, and in the perception that it is forbidden to grow a beard among fire fighters. It is absolutely forbidden for an air-masked medic to have a beard, since there is no opacity." The decision was made despite attempts to reach a compromise with Chief Rabbi David Lau following the resignation of Rabbi Menachem Perl as the rabbi of the Israel Firefighters Department. Rabbi Perl stated upon his resignation that he could no longer effectively carry out his duties because of the lack of cooperation from fire department officials, including Simchi, in dealing with the issues faced by religious firefighters. Firefighters workers union chairman Avi Ankor slammed the directive and stated that it was supplemented by additional draconian measures by the commissioner, whose purpose was "to turn a civilian body into a military body."